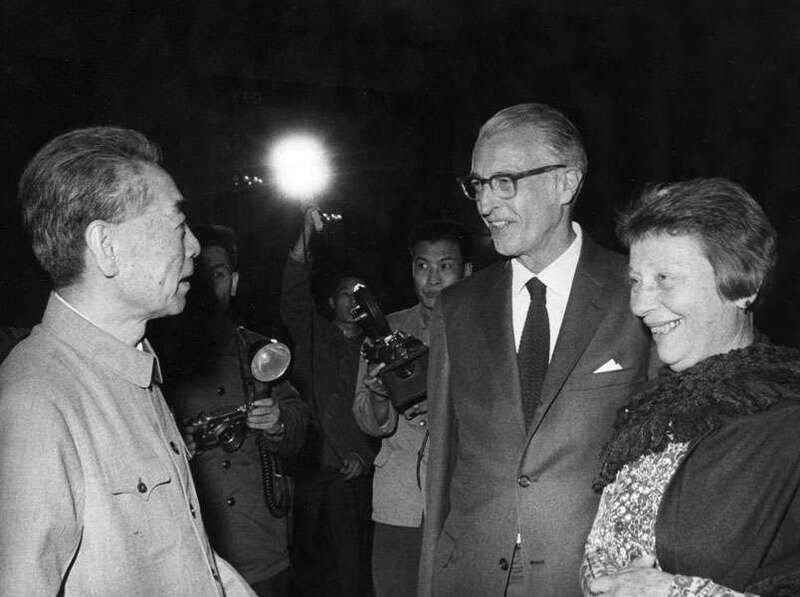 John Service, the son of missionaries who grew up in China, was one of the Department’s “China hands,” an expert on the region who also served as a key member of the “Dixie Mission,” which met with Mao and other Communist Chinese in Yenan in 1944. He and a few others correctly predicted that Chiang Kai-Shek, leader of the Kuomintang, would fall because of the KMT’s corruption, incompetence and brutality. However, this position ran afoul of Senator Joseph McCarthy, who blamed Service and his colleagues for “losing China” because of their Communist sympathies. In 1950, McCarthy singled out Service as one of “the 205 known communists” in the State Department; he was dismissed from the Foreign Service on December 13, 1951. In these excerpts, John’s wife Caroline describes the traumatic experience of being overseas while her husband is in Washington to answer McCarthy’s accusations. She tells of the lengthy court battle, which ended in the Supreme Court, the struggles to make ends meet, and his fight to win back his job and redeem his name. Ultimately he did win reinstatement, but he was unable to get his career back on track. She also notes the irony that one of the very people who had gotten Service dismissed because of his views on China — Richard Nixon — was the same person who would be praised years later for normalizing relations with Beijing. Caroline Service was interviewed by Jewell Fenzi on January 10, 1987. You can read Part I, taken from John Service’s oral history, regarding the sham proceedings and dismissal. SERVICE: Sometime during the summer, Jack was transferred from Tokyo to Wellington where he would be First Secretary. We sailed from San Francisco about the first of October on the “Monterey” — the same ship that had brought the children and me home from Shanghai in 1940! When we were first in Wellington, Jack was promoted to Class II and we thought all our troubles were behind us. Wellington was the calm before the storm which, of course, we did not know was coming. For me it was the best post of our career. The war was over and after years of separation our family was together again. Our friends of those years, both Americans and New Zealanders, have remained our friends through all these years. The Diplomatic Corps was close-knit and friendly. We had a wonderful time. 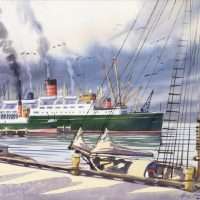 I often think how lucky we were to be sent to that friendly and beautiful country. [Jack] was assigned to one of the Foreign Service Promotion Boards, and after that to the Division of Foreign Service Personnel. On October 1, 1949, Mao Zedong proclaimed the People’s Republic of China from Tiananmen — the Gate of Heavenly Peace — in Peking. And the “Who Lost China?” frenzy began. China was never ours to lose. In February 1950, Jack and the children and I left Washington for India. Jack was to be Consul General in Calcutta. En route we visited my family in Berkeley, and Jack made a quick side trip to see his mother in Claremont. 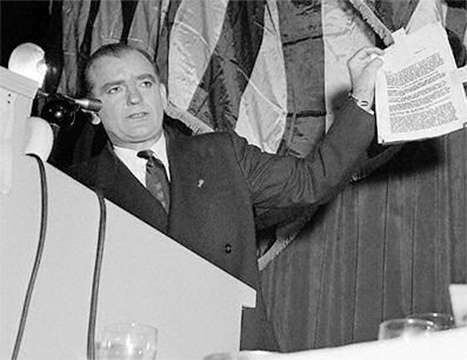 It was while we were in Berkeley with my parents that McCarthy gave his famous — maybe I should say infamous — speech in Wheeling, West Virginia, about card-carrying communists in the State Department. When I think of McCarthy the one word to describe him that comes to my mind is “Yahoo.” McCarthy had a list of over 100 names, so he said, of people in the State Department who were “communists,” or “card-carrying communists.” He gave no names, but each description of a “subversive person” had a number and a description. None of the descriptions fitted Jack. Jack phoned the State Department to ask what we should do. Should he come back to Washington? The Department said that Jack was not on McCarthy’s list and that we should continue to India, which we did. On March 11 we sailed for a month long trip to India via Japan and the Philippines. About halfway across the ocean the radio operator came to our cabin one evening and said to Jack that the news was talking about a man named Service that McCarthy was after. McCarthy was saying that Service had “lost China” and so on. So Jack rushed up to the radio room to listen and heard a lot more. The radio man had a friend in Los Angeles who was a ham operator, and our radio man was able to get more information from him about what was going on in Washington. 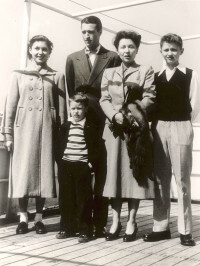 The next day a cable came to the ship from the State Department telling Jack to return to Washington from Japan. We were given the option of my staying in Japan with the children, returning to Washington with Jack, or going on to India. Jack and I decided that the sensible thing to do was for me to go on to India and get the children into school again. Also we thought that after a quick trip home to clear things up that Jack would fly out to New Delhi. He might even get there before the children and I would. In this same cable Jack’s orders were changed from Calcutta to New Delhi where he would be political counselor in the Embassy. The Tokyo Embassy sent people to meet us at Yokohama and Jack flew home that same evening. Q: You arrived in New Delhi thinking your husband would be along momentarily. You had no home to go back to in Washington, you had three children with you, you had been transferred, while you were en route, from Calcutta to New Delhi. SERVICE: Yes. I didn’t know where the furniture was or where the car was or anything. But I got to New Delhi — flew from Madras where the ship docked — and everyone was absolutely marvelous to me. Loy Henderson was the Ambassador. I spent a whole year less two weeks in New Delhi. Jack never got there. I could never have managed so well if Loy Henderson had not been so supportive. Peggy Parsons and Jeff Parsons were there. Jack was to take Jeff’s place as Political Counselor. The Parsons were being transferred. I was going to move into their house when they left. But in the meantime I was just put into another house next to John and Jean Steeves, who were wonderful to me. When the Parsons left I moved into their house, which was partly furnished with government furniture. And then our furniture turned up from somewhere. And the car appeared. The car was “special delivery,” almost. It was put on a fast train by the Indians and up it came. The Embassy was as amazed as I was because they had not asked for any special treatment. Q: It sounds as if you were taken care of simply by the goodwill of your colleagues. SERVICE: Absolutely. They were wonderful to me. There was an administrative officer, of course, and he was extremely helpful when I had a problem, as was the head Indian employee in that department. But everyone I came in contact with was helpful….Everyone was most supportive. Mrs. Henderson was often away — in Kashmir or other places. So when [Ambassador] Loy Henderson had a luncheon he would often call up one of the wives — his secretary would call — to act as his hostess at the luncheon. I was included in this list. It was a very kind thing for him to do as I didn’t have any official standing at all. I was soon invited to many Indian affairs because they saw that I was included in American functions, and so I was soon put on the diplomatic list and I was invited to many of the big events, nothing small, but when everyone was invited I was included…but [Jack] never got there. Everyone was more than helpful. Finally I decided that I was going to give a big party because I thought that Jack would get to Delhi by Christmas. He went through several more hearings in Washington and was always cleared. But that didn’t make any difference. I think that by this time McCarthyism had become so all-pervasive that someone had to go. Q: Why did they single him out of all the others? SERVICE: No. Well because he had had a lot to do with the so-called “loss of China,” in quotes. But even without that the China Hands, as they were called — Edmund Clubb, John Carter Vincent, and John Davies were easy targets. John Davies was finally fired out-of-hand, I think, right after the election of 1954. John Carter Vincent and Edmund Clubb, being over 50, were forced into retirement. It was because of China. Because China had gone communist. These people had “lost China.” It was so crazy. You can just tear your hair sometimes. I don’t know, but it was as though the country was facing a great outside menace which was inside the country. It just drove people nuts to think that China was not pro-American anymore. But we were at fault too. We still say that nobody could go to China — Westerners. Actually Western Europeans were going to China. The British were going to China, the French, and so forth. They all had embassies there. And the New Zealanders and the Australians, they had diplomatic relations with China. And the Canadians. But we did not want to have diplomatic relations with China except on our own terms. It was an internal public relations business. It was like a red flag to a bull to mention China except in pejorative terms. Q: It sounds as though the whole thing were political because McCarthy and Nixon thought they needed it. SERVICE: Yes, it was….McCarthy frightened Americans. He frightened the public. I was frightened. Now I’ll tell you. I wasn’t frightened in China. I wasn’t frightened the year I spent alone in India. I wasn’t frightened traveling around the world. But I was frightened by McCarthy. I thought what is he going to do to us? What is he going to do to our children? We did survive, but at the time you don’t know. When you yourself are personally involved you don’t know what’s going to happen to you. Because Jack and I were separated by circumstances over which we had no control, we received a separation allowance. I had no bank account in New Delhi. I suppose I could say that the Embassy was my bank. Every month I cashed a check for $400 which carried me through each month and paid for Ginny and Bob in Woodstock School. In 1950 there was no school allowance for children abroad. So in April of ’51, March 30 to be exact, I left New Delhi….Jack was fired on the 14th of December, 1951. Actually it came out on the 13th that he would be “terminated” the next day. Merry Christmas. So that was that and then what to do. You know, that was it. We had no money, we had no outside resources at all. We were paid back what Jack had put into the pension fund. But early in January Jack got a letter from a man in New York, a Mr. Clement Wells, who had a steam trap business, and he offered Jack a job. It was a miracle to receive this letter. We moved to New York, to Kew Gardens in Queens. Actually the children and I stayed in Washington until the end of summer. Mr. Wells had Jack go to Bethlehem, Pennsylvania for a few weeks to work on an assembly line to see how steam traps are put together. 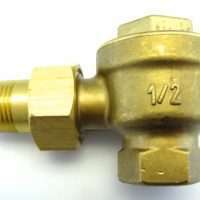 There’s a steam trap on the floor there. We use it as a doorstop. After Bethlehem, Jack moved to New York and went to work for Mr. Wells in the export side of the business. Then when it became time for the family to join him, Jack rented an apartment in the Bronx. It was owned by the Equitable Life Insurance Co. When the company found out who Jack was they returned the deposit check because they would not rent to us. It was awful. I then knew how people felt who are dispossessed, or who face discrimination. Jack was then able to rent an apartment in Kew Gardens. The SARCO office was in the Empire State Building and Jack rode the subway into 34th Street. He claims that in all the years he made this trip he never sat down on the subway when he was going to work! He did a lot of traveling, to Mexico, to Europe, for Mr. Wells, visiting companies that manufactured the SARCO steam traps under license, and meeting the company managers. 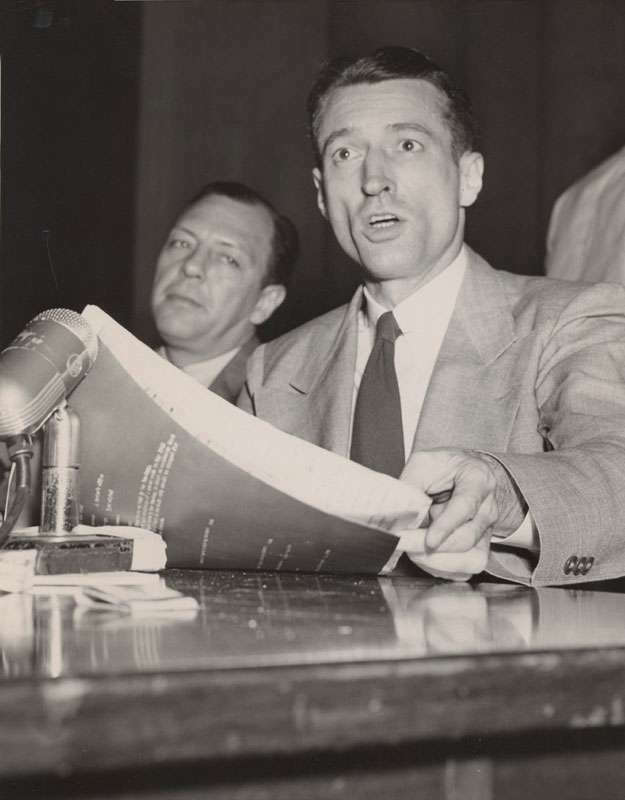 In the meantime, his lawyer, Ed Rhetts, had determined on the day Jack was fired that he’d take Jack’s case through the courts to try to win a reversal of the State Department decision to fire Jack. John Davies was fired as I’ve mentioned before. And John Melby was fired. 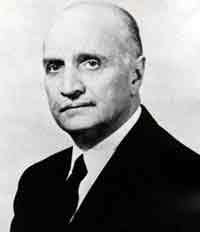 He had been one of the group that put out the “China White Paper” in 1950 I believe. This was authorized by the State Department, but that didn’t keep John from being fired….Jack had been cleared and cleared, but he was the first one fired. Q: Even though he had been cleared? SERVICE: Yes. Jack had a legal case. And Ed Rhetts and some other lawyers who helped him gave help where they could. Finally the case reached the Supreme Court which accepted it. With our children we went to Washington in April, 1957, to hear Ed Rhetts argue the case before the Supreme Court. It was a solemn and moving occasion. The decision was handed down on June 17, 1957, a Monday. 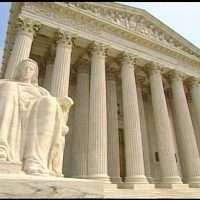 The Supreme Court nearly always announces it decisions on a Monday. Ginny was going to the dentist to have a wisdom tooth out at two o’clock. I said, “What! ?” I screamed, you see. The man wanted to know how to get hold of Jack, and I gave him the number at SARCO. And then I hung up and Ginny and I just looked at each other. I guess we must have hugged each other. I phoned the dentist to tell him we’d be a bit late, and then I called Jack, but I waited until I thought the news people had got to him. And I phoned my family. Ginny got her tooth out, and Jack came home by subway — it was a very hot June night — and the phone never stopped ringing all evening. 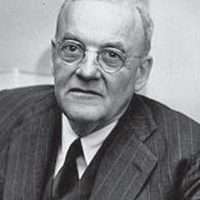 Ray Ludden, an old China hand who was Consul General in Dusseldorf, had heard the great news there and he phoned. The phone just rang and rang and rang. And then people wondered if Jack would really go back to the State Department. Actually the Supreme Court decision stated that Jack had never been out of the Foreign Service — never had been out — never should have been out. Jack had already won two points in both the lower Court and Court of Appeals. But the decision for his reinstatement came through the Supreme Court. Jack never had any intention of doing anything other than returning to the Foreign Service if he could. Not only for our good name, but because we loved the Foreign Service. I loved the Foreign Service; I think it was a marvelous life. And I think that, well, it was just the only thing we would ever have considered doing. So we went back and were in Washington two years. Jack had to go through another security clearance. And once again Jack was cleared and he was sent to Liverpool, England. Which doesn’t sound like the greatest post in the world, but we loved Liverpool. Jack would probably not use the word “loved,” but that is the way I felt. And we made so many good friends in Liverpool. I never think of the English as being anything but warm and friendly. Returning to the Foreign Service was worth all we’d been through. I don’t want to get emotional. But I really can’t emphasize enough how much support, emotional, psychological, and in a few cases pecuniary, we had from friends and family. Oberlin friends were especially helpful and supportive. Oberlin, where we met, has always meant much to us. After Liverpool Jack realized that there was simply no real future for him in the Foreign Service. And Jack decided that if he wanted to do anything else he had better retire. We were both fifty-two in 1962 when Jack really retired from the Foreign Service. We came back to Berkeley, and Jack went to the University of California for two years to get an MA in political science. The others were John Fairbank, John Davies, and, I think, Owen Lattimore. And Jack said, “I’m going to call up the Chinese Embassy in Ottawa.” The United States didn’t have diplomatic relations with China. Jack then called the State Department to be sure it was okay with the State Department if he went back to China, and they said okay. So Jack flew to Ottawa to get our visas, and the next week we were off to China! And that’s where we started this. It was a dreamlike trip. And then when Nixon decided to go to China, that was it. Kissinger went to China twice, I think, in 1971, and then President and Mrs. Nixon went in 1972. Probably no one could have accomplished this opening to China except Nixon and Kissinger. I think it’s probably the one great thing that Nixon did in his administration. If you compare McCarthy’s charges of 205, or 57, or whatever number of Communists in the State Department with the number actually found, there is a clear disconnect. If you consider the people McCarthy named to the Tydings Committee, McCarthy’s evidence was unconvincing to the point of embarrassment. Dorothy Kenyon had joined a number of organizations which later proved to have Communist ties. As soon as she learned this, she resigned from these organizations. Often, she was in good company. One organization included as member Albert Eisenstein and four U.S. Senators. Further, her State Department position hardly called for a high level security clearance; if was an honorary one: delegate in 1947-1949 to the United Nations Commission on Women. When Dorothy Kenyon appeared before the Tydings Committee, she was grilled by arch-conservative Senator Bourke Hickenlooper, who reviewed every indiscretion he could find, but in the end he admitted openly to Kenyon that there was no evidence indicating that she was disloyal or subversive. The declassified Soviet archives have shown nothing to revive McCarthy’s claims against her. Indeed, the available material, taken together, shows that by the time McCarthy launched his crusade, Communist infiltration of the government had effectively ceased to exist. No one ever found anything approaching 57 Communists in the State Department (or any of the other numbers McCarthy touted). Nor has anyone ever produced any “list” of names, although McCarthy clearly claimed he had a list. Perhaps Service wasn’t a “useful idiot” duped by the Communists. But the only remaining conclusion would be that John Service was one of the dumbest lamebrains to ever serve in the U.S. Foreign Service. The only person dumber than Service was the guy that hired him. See “Stalin’s Secret Agents,” by Evans & Romerstein. But Chinese scholars who escaped China put the number of deaths in China due to communism at closer to 80 million people. And now they’re saying the deaths in N. Korea could be closer to 3.5 million.